Over the past couple of days there has been one topic which has dominated UK health news and that topic is the new 111 NHS helpline. This helpline is intended to replace the NHS direct line as well as to take over the out-of-hours GP phone line and it is to be used by those who have a medical emergency but one which is not serious enough for a standard 999 call. 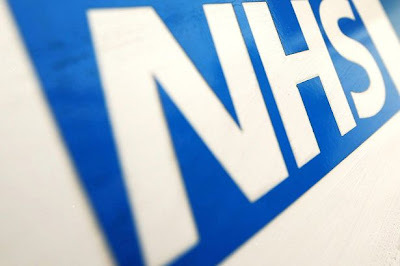 According to plans outlined by the NHS this new helpline will become available to the whole of England on April 1st and this is in-spite of the more or less wide-scale failures of the service (which include its inability to deal with the large numbers of calls it received) in the trials that have been carried out over the past two weeks. During these trials it was seen that calls were not being answered, if they were answered callers were put on hold for hours and if they did finally get to talk to someone they were often unqualified and just asking questions based on whatever's on the computer screen in front of them! There is a worry that those who call the line seeking for help may not actually get the information that they need leading to them being worse off than when they first made the call and ultimately having to call 999. All of this doesn't bode well for the helpline and its imminent launch and coupled with the fact that people still don't know what type of situation warrants a call to 111, demands for the delay of the launch of the line make sense. When reading over the articles on this topic I couldn't help but feel a sense of Deja Vu as I'm pretty sure that there were similar concerns in 2009 over the swine flu helpline and website which were launched in the midst of the pandemic. In that case for several hours the public were unable to access the website and in some cases callers were introduced with the question 'are you conscious?' (not really sure what to say to that one). Eventually the helpline was seen to be successful in reducing the strain which had previously been placed on GP services and it was shut down in February of 2010 when the number of new cases of Swine flu had fallen. Eventually I believe that the same successes will be seen by the new 111 helpline, which will have a more permanent position in UK health care, and so reducing the burden on emergency services across the UK. But in order for this to be the case the NHS will need to draw on the experience it had with the swine flu helpline to ensure that the official launch and the overall running of the 111 helpline make it a truly beneficial as opposed to a hindrance. Proper promotion must be adopted in order for the public to know how to use the helpline properly and there must be an adequate amount of staff in order to deal with the demand. Until these issues are dealt with I too agree that the launch of the line should be delayed.